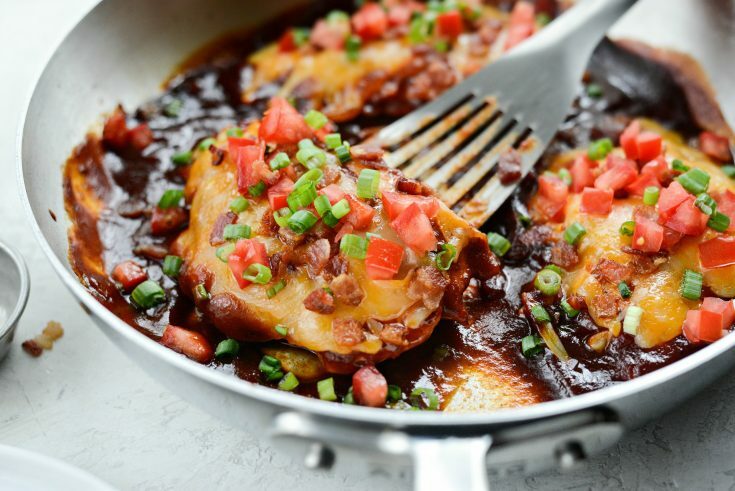 This Skillet Monterey Chicken is a simple dish that everyone will love! 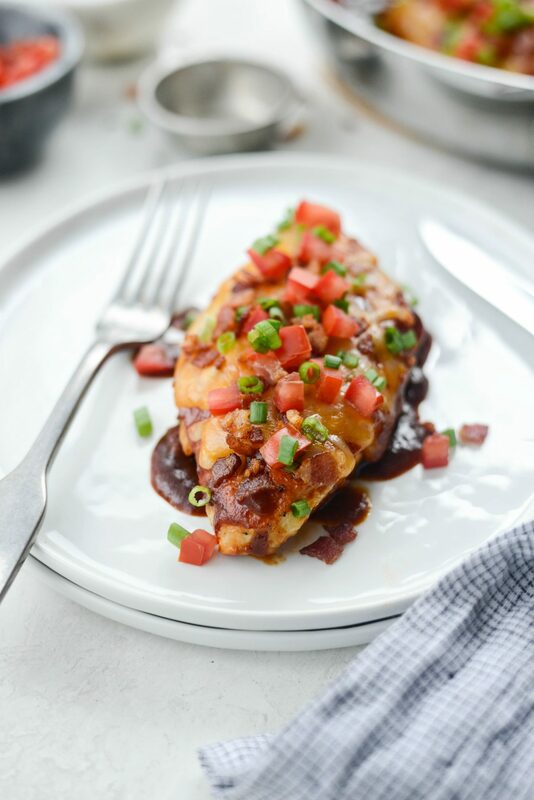 Chicken breasts cooked and topped with barbecue sauce, cheddar jack cheese, crispy bacon, diced fresh tomatoes and green onions. 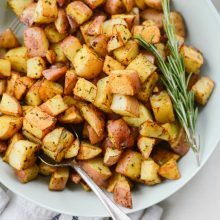 Serve with roasted potatoes and a side salad. This is one of those dinners that’s not only easy but super delicious. 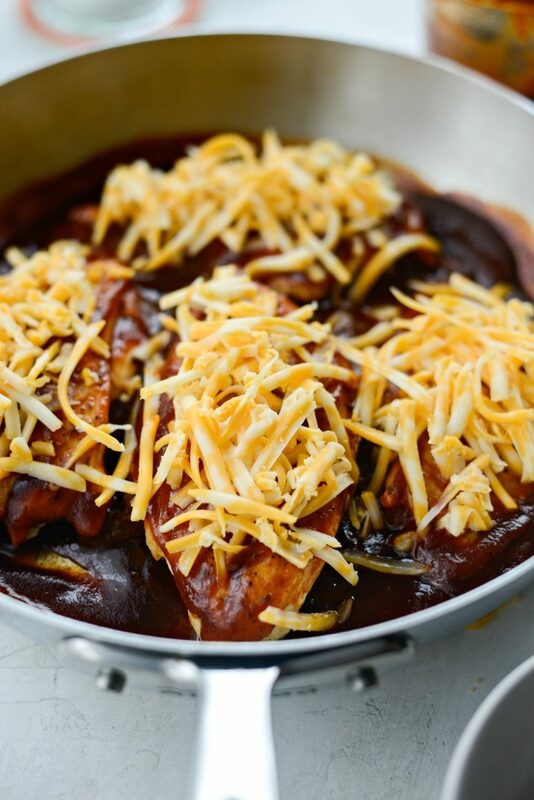 Chicken tossed in barbecue sauce, topped with cheese which is then baked until melted. Finishing it off with crispy chopped bacon, fresh tomatoes and green onions. I’ve made this so many times and it never gets old. I’ve made it with homemade barbecue and sugar free, chicken bacon and regular and with full fat cheese and reduced. And I’m sure you could use chicken or turkey bacon as well. 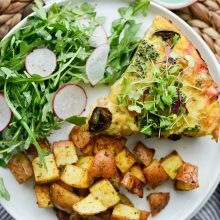 All ways were absolutely phenomenal, so this recipe is truly customizable to your diet. First grab your ingredients. 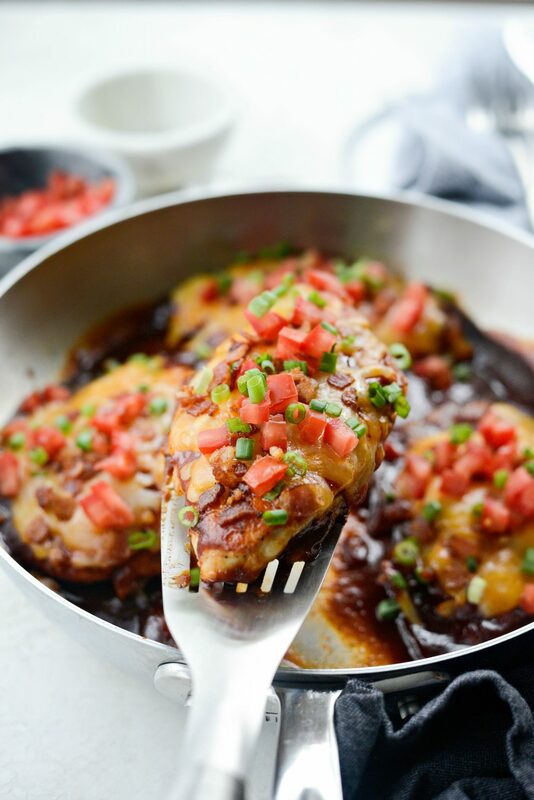 To make this skillet Monterrey chicken recipe you will need; 4 strips of bacon (diced), 4 boneless, skinless chicken breast halves, kosher salt and black pepper, 3/4 cup barbecue sauce or more for an extra saucy dinner, 1 cup (freshly grated) cheddar jack cheese, a Roma tomato and a couple of green onions. 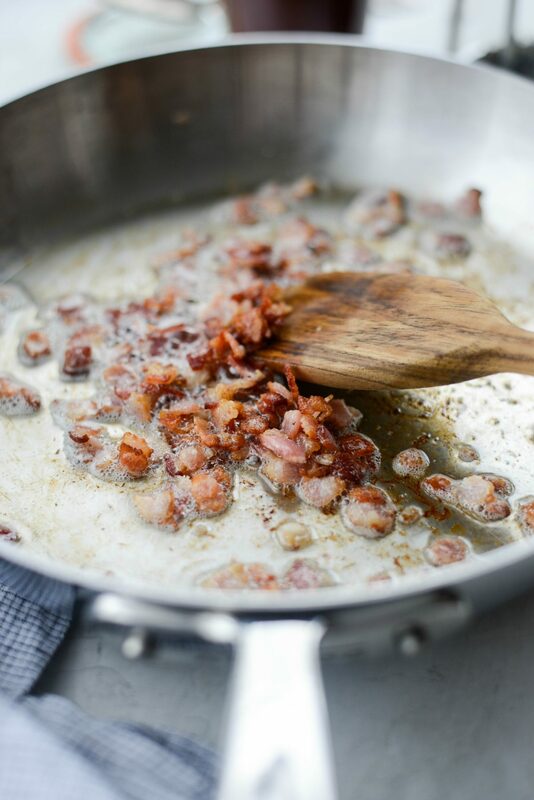 Start by adding the diced bacon to a cold skillet. Heat on medium heat and slowly render out that fat. Cook until the bacon is crispy before using a slotted spoon to transfer the bacon to a paper towel lined plate. 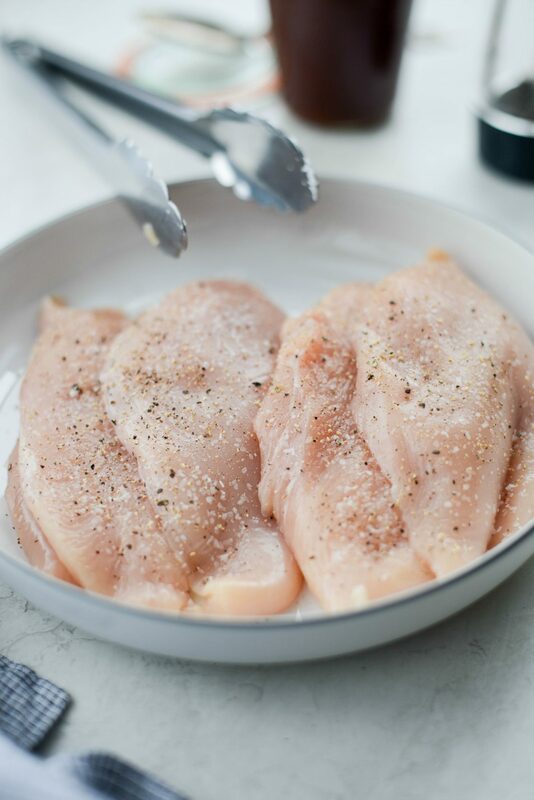 Meanwhile season your chicken breast halves with kosher salt and freshly ground black pepper. Drain off and discard all but a couple teaspoons of the bacon fat. Then, to the hot bacon fat, add the chicken breasts. Work in batches if your skillet isn’t large enough to cook all four at once. 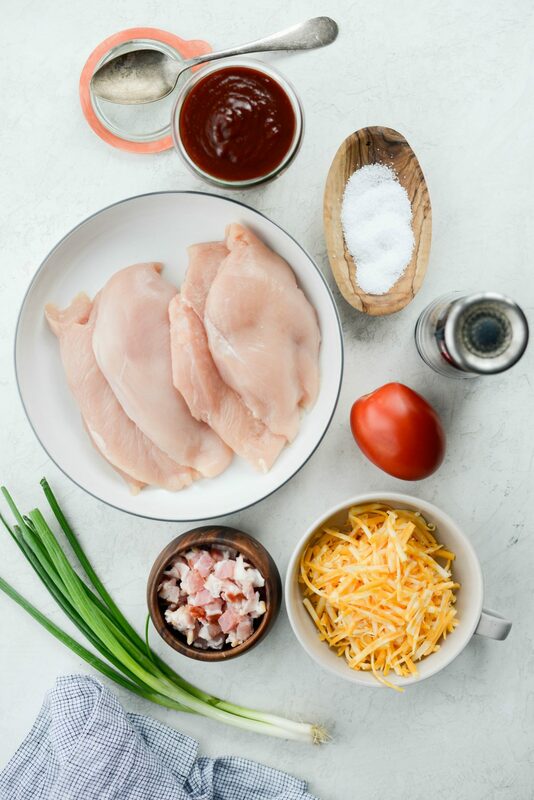 Cook for 6 to 8 minutes before turning and continuing to cook for an additional 5 to 6 minutes or until the chicken is fully cooked and no longer pink. Meanwhile preheat your oven to 375°. Then, once the chicken is fully cooked, transfer it to a clean platter for a moment. 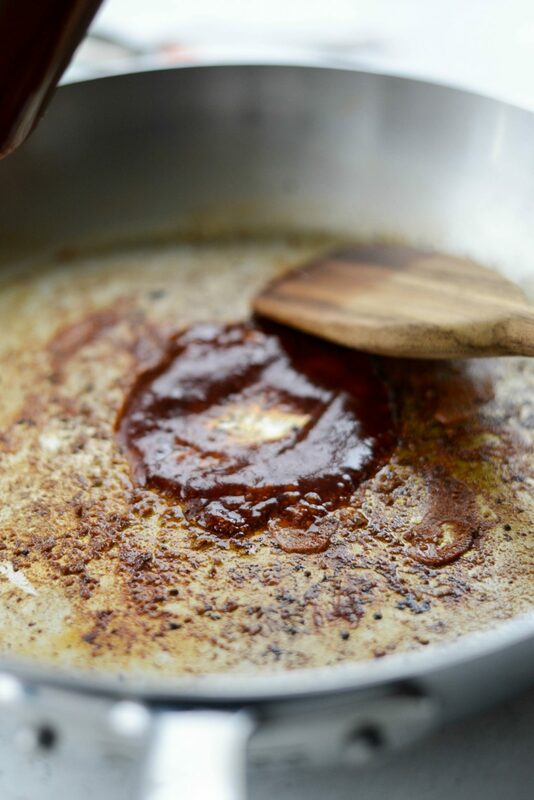 Pour in 1/4 cup of the barbecue sauce, using a wooden spatula to scrape up any browned bits on the bottom of the skillet. 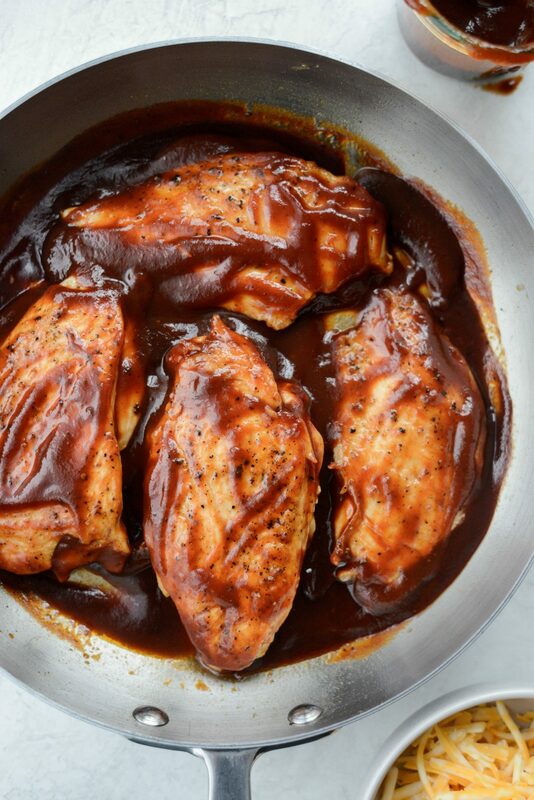 Add the chicken back into the skillet and top with remaining 1/4 to 1/2 cup or more of barbecue sauce. Next, top each chicken breast with 1/4 cup of cheddar jack cheese and then slide the oven-safe skillet into your preheated oven. Bake for 6 to 8 minutes or until the cheese has melted. Finally, top the skillet Monterrey chicken with the chopped bacon, fresh tomatoes and sliced green onions. SO GOOD. Sorry to shout, I just feel some kind of way about this recipe! And although the photos don’t reflect it, I complete this meal with oven-roasted potatoes and a side salad. I got rave reviews about this meal and thumbs up around the table. What could be better than that? Enjoy! 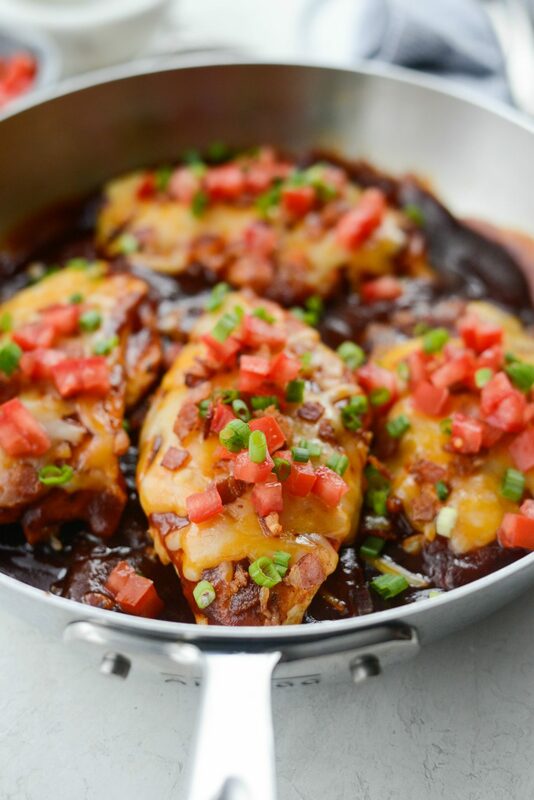 And if you give this Skillet Monterey Chicken recipe a try, let me know! Snap a photo and tag me on twitter or instagram! 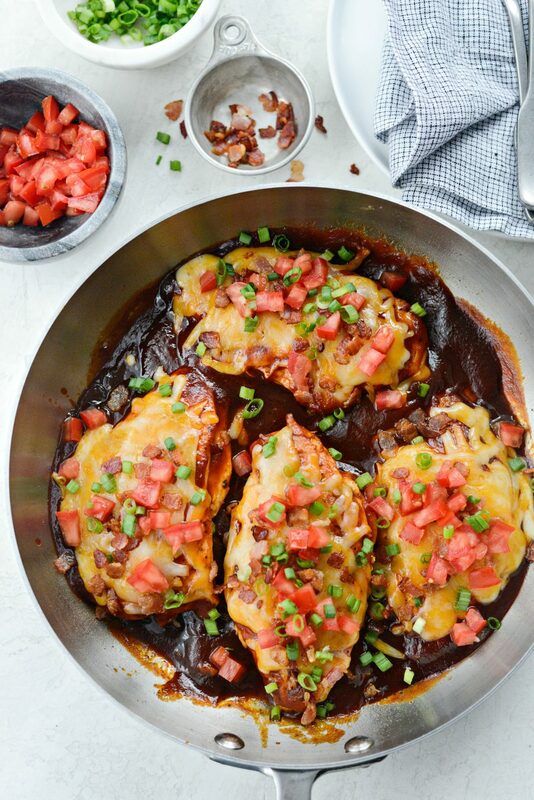 Chicken breasts cooked and topped with barbecue sauce, cheddar jack cheese, crispy bacon, diced fresh tomatoes and green onions. 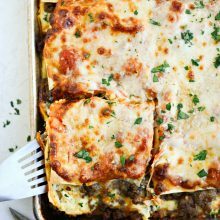 A simple dinner everyone will love! To your skillet, add bacon and heat on medium. Turning occasionally and cooking until crispy. Transfer to a paper towel lined plate to cool, then coarsely chop. Drain off all but a couple teaspoons of the bacon fat. Season both sides of the chicken with salt and black pepper. 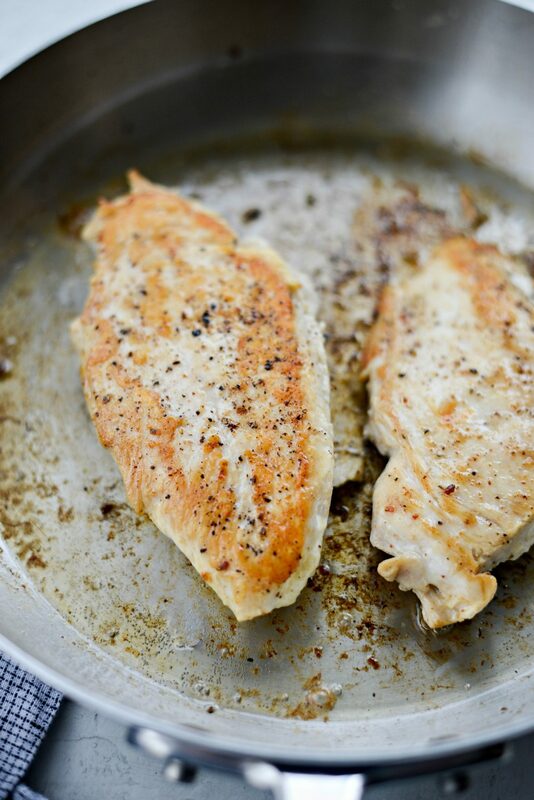 To the hot bacon fat, add the chicken and cook for 6 to 8 minutes before turning and cooking for an additional 5 to 6 minutes or until no longer pink and fully cooked. Transfer to a clean platter. 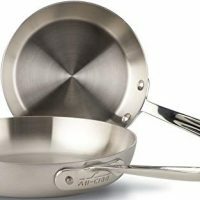 Pour 1/4 cup in the bottom of the skillet, scraping up any of the browned bits on the bottom. 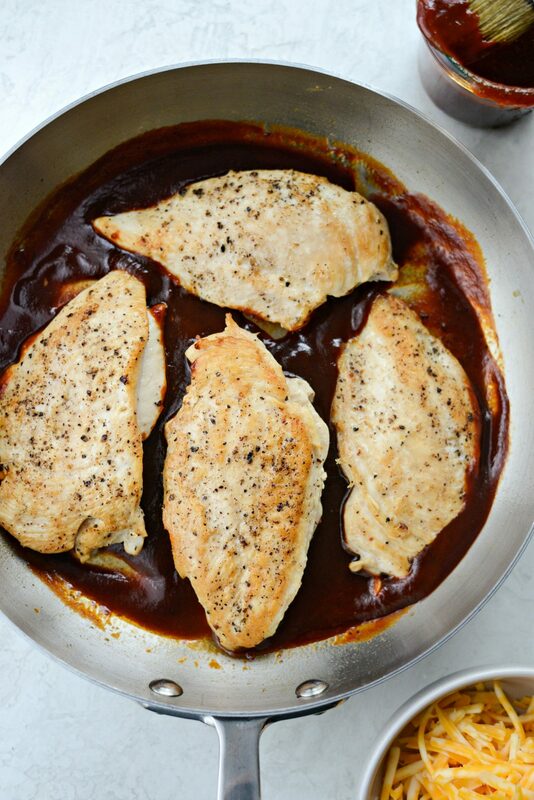 Return the chicken to the skillet and top with remaining sauce. 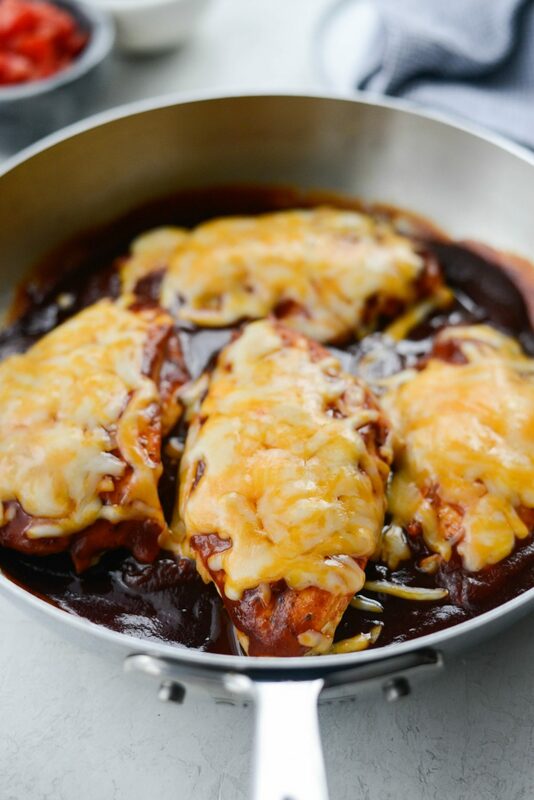 Top each chicken breast with 1/4 cup of cheese and bake until melted. About 6 to 8 minutes or so - watch carefully. Before serving, top with chopped bacon, fresh tomatoes and sliced green onions. She said “Before serving, top with chopped bacon, fresh tomatoes and sliced green onions”. Can’t go wrong with bacon! I’m 2 weeks into my new keto lifestyle and this works! 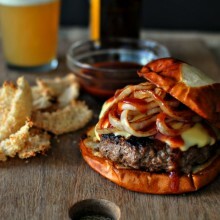 I’ll have to snag a sugar free BBQ sauce, but other than that…..looks fantastic! Thanks for sharing! Your recipes never disappoint! Think “resining” should read “remaining”. 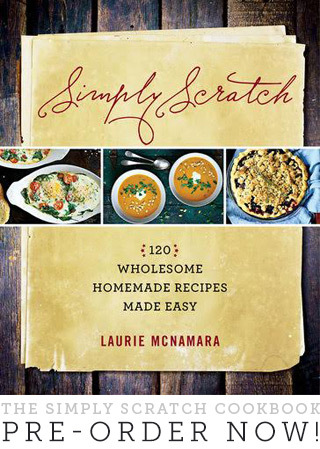 And David Emanuele is right – the adding of the bacon bits got left out in the step by step recipe. 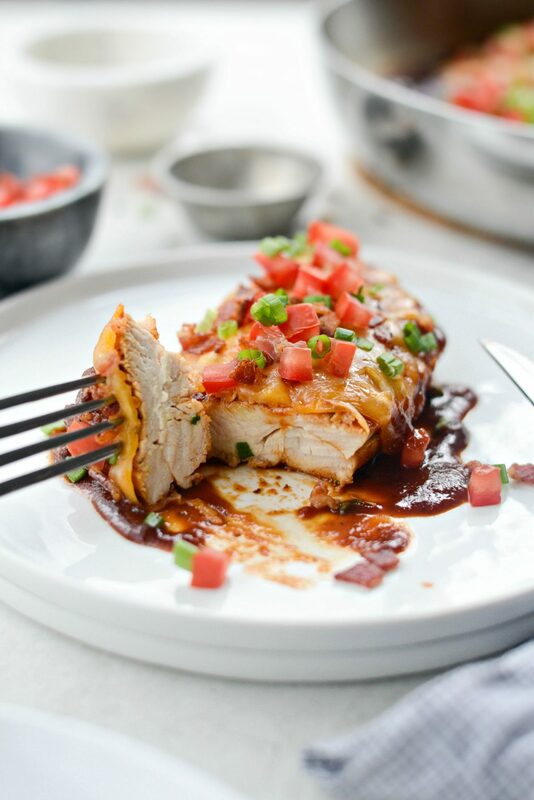 Namely, “Finally, top the skillet Monterrey chicken with chopped fresh tomatoes and sliced green onions.” should read “Finally, top the skillet Monterrey chicken with the cooked bacon, chopped fresh tomatoes and sliced green onions.” Or some such. Likewise, excited to give this one a try! This was delicious, my family loved it! 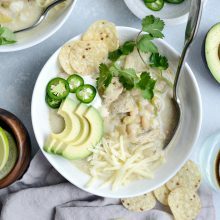 Your recipes are my go to, no lie and they never disappoint! Thank you! My family LOVED this! I didn’t even get a pic – they gobbled it up so fast! I’m so glad, Kelly! 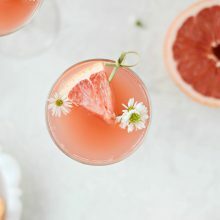 Thank you for taking the time to make this recipe!